The one thing that unites all human beings is hardship. The struggle associated with it is something that is inherent to all people. For the past hundreds of years, issues such as human rights, gender inequality, environmental degradation, poverty, hunger, etc. have all been issues inherent to mankind but silenced by those in power. However, while international organizations, sovereign states, transnational corporations, NGOS, and other bodies have been making efforts to mitigate the negative impacts of issues that are prevalent all over the globe, it is now time for individual citizens to begin creating change and to get involved in the global community. 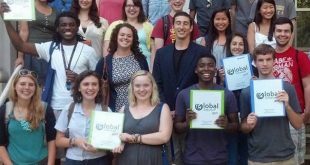 Being a member of a global community means one is transcending all state borders and becoming more socially, politically, and economically integrated with the world.A global citizen is someone who identifies with being part of an emerging global community and whose actions contribute to the bettering of that community’s values and practices. With that being said, it does not mean that being a global citizen means abandoning ones own identity, such as national patriotism, ethnic culture, and other beliefs. Rather, those identities make us unique individuals who are able to contribute even more to the interconnecting world. Being a global citizen simply adds an extra layer of responsibility that is associated with being a part of globalized world. Essentially there are three main facets of being a global citizen. First is awareness. An individual should have someone conscious knowledge of global events, culture, and faiths. Grasping the connection between action, knowledge, and advocacy while understanding international institutions and foreign ideologies contribute to increasing one’s knowledge of the global world. Second is having a sense of responsibility for bettering the world. Essentially, simply being a citizen should not be enough for an individual, but rather one should be willing to advance society and make life better. The last aspect of being a global citizen is participation. No matter how small the change is, it all matters. It can be anything from empathizing with others to fighting against global challenges. 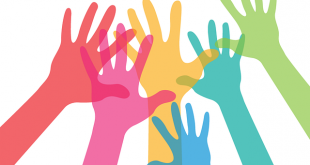 On this page, we will be providing the proper resources to increase awareness and participate in the global community to make it easier for those who are interested in becoming global citizens. What Does Being a Global Citizen Mean?